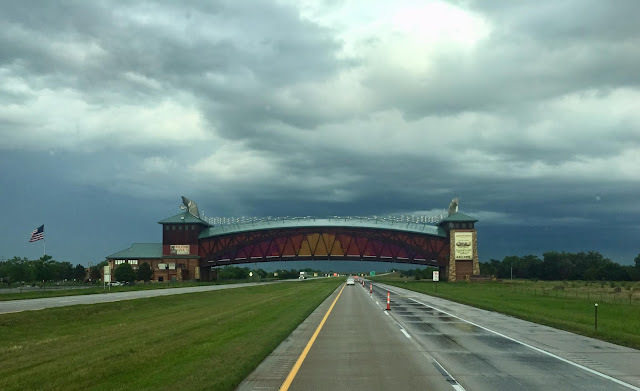 The Archway in Kearney, Nebraska that spans Interstate-80 always seems to surprise me when I come upon it. It's just there, in the middle of nothing. We've never had an opportunity to stop, which maybe we should since it houses a "family friendly historical exhibit tells the story of those who followed the Great Platte River Road and helped to build America." I like the write-up Roadside America did.